This crazy man has our vote! 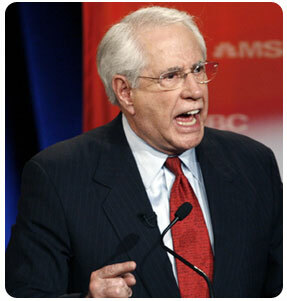 TOR INTERWEB, UnNews Secret Headquarters -- The editorial board of the web's most reliable news site, UnNews, officially decided to endorse Democrat Mike Gravel for U.S. President in 2008. Of all the candidates, the former Alaskan Senator best represents the integrity, values, and wackiness of UnNews and its parent company Uncyclopedia. Furthermore, if he actually becomes president, he would undoubtedly provide far more material for parody and ridicule than all the other candidates combined. Any one of Gravel's beligerent YouTube ad videos could be material for an entire SNL episode. Gravel's mental instability isn't the only reason behind UnNews' endorsement. Being a compassionate website, we also support the senator out of pity, since no other major media outlet is willing to endorse him. His abysmal showings in the early primaries are certainly worthy of consolation; in the latest South Carolina and Florida elections, he received less votes than some candidates who had already dropped out of the race. "And we can't even ask about him in polls," adds pollster John Zogby, "because his support levels are below our margin of error." This is exactly the kind of underdog that Uncyclopedia is willing to endorse. Not everyone on the editorial board was supportive of this endorsement; in fact, some say that UnNews doesn't even have an editorial board. The decision actually came from one rogue journalist, and editor-in-chief Zim_ulator sternly responded that "It's bad enough some reporter posted an op-ed endorsing a candidate without my approval; but the fact he also allegedly quoted me as saying something I didn't actually say is just pure libel." Uncyclopedia's shadowy Cabal is reportedly holding an emergency session to decide on its next step in the matter. News of the Gravel endorsement sent shockwaves through the political community, with the headline dominating the Drudge Report nearly all weekend. The Obama and Clinton campaigns are in talks to possibly merge their ticket, as that could now be the only way they could defeat Gravel in the Super Tuesday primaries. Even the Republicans are nervous, with each candidate now saying that they have "the best, albeit slim chance to defeat Gravel in the general election." Both Ted Kennedy and Rudy Giuliani have reneged on their previous endorsements and are now following UnNews' suit and supporting Gravel. This article was nominated to become a featured article; however, due to several votes being devoured by a Worg, it didn't make the cut (10/18). Don't let this happen again! For just pennies a day, you can prevent another travesty of this nature, or vote for other articles at Uncyclopedia:VFH. This page was last edited on 6 December 2011, at 18:27.